"Restorative Minds are of the Weavers, carrying the means to undo any Mind's undoing." Theosyion, the Restorative Mind is a Vex Axis Mind Harpy encountered in the Echo Chamber Strike. Restorative Minds like Theosyion are deployed when a significant node of the Vex network shuts down; in Theosyion's case, its purpose is to bring an intact Sekrion, Nexus Mind into the present from the past in order to restore the network and resume the transformation of Venus into a Vex machine. Theosyion is normally totally immune to damage, and rapidly fires dual Arc Harpy Slap Rifles at any nearby enemies. The only way to make Theosyion vulnerable to attack is by using Arc sources to short out various Vex installations. This forces the Harpy to lower its defenses and move towards the next position. It also has an additional attack called Medusa's Gaze; any enemy caught within its line of sight will be killed instantly. If someone is being targeted by Medusa's Gaze, they need to break line of sight immediately. Theosyion is the second Harpy boss to appear in the Destiny series, the first being the Gorgons. In addition to this, Theosyion uses a weaker version of the Gorgon's Gaze, which, by namesake, used by the Gorgons. 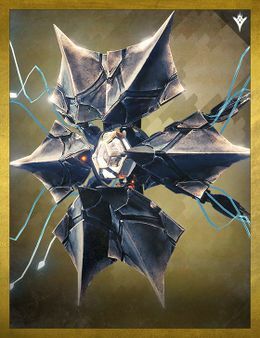 Thesyion is the fifth Vex enemy to have its own unique chassis, the other four consisting of Sekrion, Nexus Mind, Templar, Atheon, and The Undying Mind respectively.